Hedgehog Supplies and Collector Items! Pawprint - Exotic Pets, Specialty Foods, Supplies & More! What Color is Your Hedgehog? Send Hedgehog E-cards to Your Friends! James and Robin's Hedgehog Page! Hedgehog Chat Rooms, Mailing Lists, Associations and Bulliten Boards! 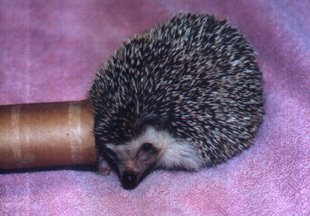 We also recommend doing a search for hedgehogs at yahoogroups.com! By all means this is not a complete list of hedgehog references on the web, just a small collection of sites we enjoy! The Happy Hedgehog Main Page!The Happy Hedgehog Picture Page!The Happy Hedgehog Care Page!The Happy Hedgehog Link Page!The Happy Hedgehog Waiting List!The Happy Hedgehog Policy Page!The Happy Hedgehog Shipping Page! 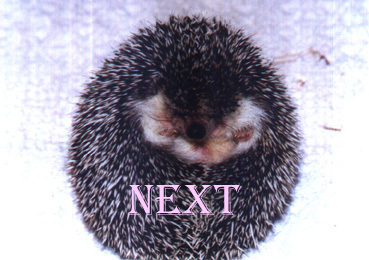 The Happy Hedgehog Waiting List! Want to join the Wheel? Here's how. Want to join the Hedgie Ring?